The ‘superheroes’ of antiquity were usually characterized, first of all, by a stirring, quasi-religious origin story. It is often forgotten that Gilgamesh of Uruk was in all likelihood a real person, so compelling has his myth become down the ages. His origins are suitably mythic in grandeur: in Aelian’s story, the King of Babylon, determined by oracle that his grandson Gilgamesh would kill him, so he threw him out of a high tower. An eagle broke his fall, and the infant was found and raised by a gardener, eventually becoming king. The Celtic hero-king Finn McCool, abandoned at birth, was raised by the warrior woman, Liath Luachra, who brought him up in secret in the forest of Sliabh Bladma, teaching him the arts of warfare and hunting. Achilles, the legendary Greek warrior, was the son of the nymph Thetis and Peleus, the king of the Myrmidons. When Achilles was born Thetis tried to make him immortal, by dipping him in the river Styx. However, he was left vulnerable at the part of the body by which she held him, his heel. This origin tale signposts another feature of the classical superhero. No matter how mighty they become, almost every hero has a fatal flaw or weakness that ultimately leads to their death or downfall (in Achilles’ case it was an arrow shot at his, you guessed it, Achilles’ heel). This, among other aspects, seems very much to have been retained in many modern superhero legends, not least of which is that of Superman, whose weakness is kryptonite. Let’s look at some other common characteristics of superheroes. Many display extraordinary powers or abilities which can vary widely but commonly include some combination of the following: superhuman strength, the ability to fly, enhanced senses, and the projection of energy bolts. 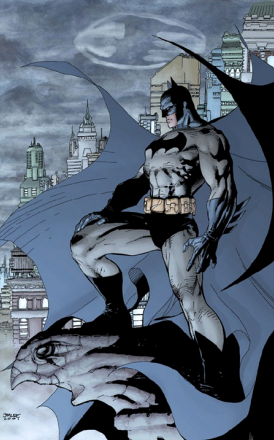 Some superheroes, while possessing no ‘super’ powers as such, have mastered skills such as martial arts and forensic sciences to a highly remarkable degree – Batman is probably the best example in this category. Others have special weapons or technology, such as Iron Man’s power suits or Green Lantern’s power ring. Many characters supplement their natural powers with a special weapon or device (e.g. Wonder Woman’s lasso and bracelets, Spider-Man’s webbing, and Wolverine’s adamantium claws). Of course, if special weapons and powers were all they had, there would be little to separate a superhero from a supervillain, which is why having a strong moral code and/or motivation is another essential aspect of such an individual. Whether it is Batman or Spiderman’s desire to avenge the deaths of their respective parent-figures or simply a strong in-built sense of right and wrong in the case of Superman, this moral compass is what puts the humanity into these otherwise ‘superhuman’ characters. This marriage of extraordinary ability and morality is, I feel, what really makes a superhero. Other aspects, such as having a secret identity, distinctive costume, sidekick and hidden base of operations, are all more or less window-dressing. Of course, there’s one other thing that no true superhero can exist without, and that’s a supervillain. The very best superheroes are distinguished by a veritable rogues gallery consisting of enemies that they fight repeatedly (and it must be pointed out, in most cases unsuccessfully, given their penchant for repeat offending). In some cases superheroes begin by fighting run-of-the-mill criminals before supervillains surface in their respective story lines – this is almost a throwback to the days of Arthur Conan Doyle, whose hero Sherlock Holmes defeated countless common or garden criminals before meeting his match in the form of the ‘Napoleon of Crime’, Professor Moriarty. In many cases the hero is in part responsible for the appearance of these supervillains (characters in Batman’s comics often accuse him of creating the villains he fights, most famously the Joker). Often superheroes have an arch-enemy who is especially threatening – often a nemesis is a superhero’s doppelganger or foil. Again the Moriarty or Blofeld template is evident in this. Batman’s intimidating exterior persona hides a benevolent and noble soul, while the Joker’s comic appearance masks internal corruption and evil. Likewise, Superman’s perfect foil, and the source of many of his finest stories, is not an equally powerful alien, but a human criminal mastermind in the form of Lex Luthor. It is probably worth mentioning at this point that Superman’s myth has proved uniquely open to interpretation and appropriation over the years. One long-running, semi-serious theory claims Superman is Jewish, not just because of his Jewish creators (Siegel and Shuster) and his Kryptonian name (Kal-El, reminiscent of the Hebrew for voice and God) but because his origin myth echoes that of Moses, with the baby found in a crashed rocket rather than a reed basket. All three of the most recent silver screen incarnations of the Man of Steel have meanwhile played up the Christian parallels of the Superman myth, by variously referring to the infant superhero as the ‘saviour’ of the human race, having him fly in the shape of a cross and placing his age at the suitably biblical thirty-three. (Then there is the fact that the words Lucifer in Lex Luthor and cleric in Clark Kent can be unearthed…). But one of the most attractive theories about Superman’s lasting appeal comes from the Scottish comics creator Grant Morrison. In his book Supergods, Morrison proposed that the current mass-media frenzy for superheroes addresses a deep and specific cultural need. As technological progress and medical science rush forward, he suggested, we look to superhero myths for guidance in approaching our own enhanced scope and reach – in everything from biomedical enhancements to flying robot armies. The heroes offer, he concluded, “a bright flickering sign of our need to move on, to imagine the better, more just and more proactive people we can be”. If you’re one of the few who hasn’t yet been to see Man of Steel, this, at least, is a heartening frame of mind in which to approach what might otherwise be regarded as just another run-of-the-mill blockbuster. Superman had been around for about five years before kryptonite was introduced. But then, Superman originally wasn’t quite as powerful as he eventually became, so I guess they had to find some way for him not to be totally invincible. How so many pieces of Krypton ended up on Earth, I couldn’t say. I always assumed that with the forces involved in the destruction of Krypton, fragments could easily have become sucked into the trajectory or wormhole created by Kal-El’s fleeing ship, much like the tail of a comet. Another brilliant post, mate, well done! I must say, as both a huge fan of the modern era superhero (I’m a DC & Marvel comics fan) and those of antiquity, it’s great to see someone reference one of my favourite characters, Gilgamesh. What I love about ‘The Epic of Gilgamesh’, and what makes it eternal as a story, is that even though the themes in it are truly on an epic scale, at it’s core is a simple truth – the fragility of our own mortality. That after all is the key of the story, as Gilgamesh and Enkil embark on a quest to find the secrets to immortality, enraging the gods in the process. I have seen ‘Man of Steel’, and loved it. I must say, that after the huge disappointment of the dour ‘Superman Returns’, I was hugely pleased and relieved with the results of this latest incarnation. For me, what makes the film a cut above the usual ‘blockbuster disengage your brain’ type of film, is the fact that the makers of the movie clearly understood and went back to the comics as source material. The Clark Kent I read in the comics wanted to be invisible, unnoticed by those around him, he wasn’t a bumbling fool who by his actions drew attention to himself. The comics had humour, yes, but they never fell into slapstick or parody as I’m afraid the 70’s movies did. Yes, I liked those movies as a kid, but I never liked the cheesy slapstick element, it wasn’t the superhero I’d read and loved. But this new one, finally, is. 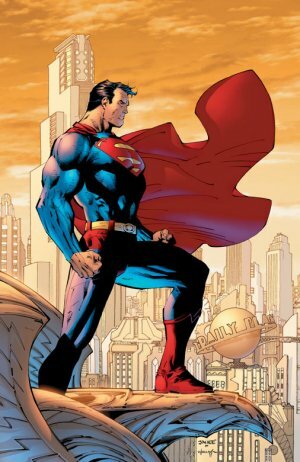 By going back to the comics, Superman, who could so easily be one of the more 2-Dimensional duller characters in the superhero pantheon (after all we like a little angst, a little complexity in our hero characters), actually comes across as many of the comics and I, had always envisioned him. Complex, conflicted, uncertain, lonely. He is the ultimate loner, an outsider from everyone, someone who though he may strive to always do the right thing, doesn’t necessarily achieve this and of course the inherent conflict of being a person utterly out of place struggling with their own growing powers and what that means for them and those around them. Hat dies auf Archery Worldwide Magazine rebloggt. The problem about trusting in supermen (and superwomen) is that we’re clearly not of this kind. Yet evil must be fought by fallible, weak, easily crushed humans.